Literature’s most famous adventure story, this stirring tale of two happy-go-lucky British ne’re-do-wells trying to carve out their own kingdom in the remote mountains of Afghanistan has also proved over time to be a work of penetrating and lasting political insight—amidst its raucous humor and swashbuckling bravado is a devastatingly astute dissection of imperialism and its heroic pretensions. 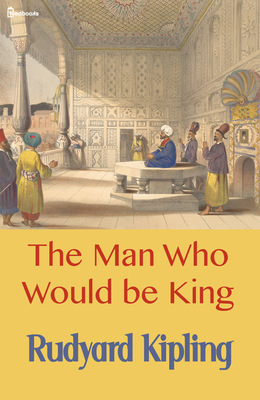 Written when he was only 22 years old, the tale also features some of Rudyard Kipling’s most crystalline prose, and one of the most beautifully rendered, spectacularly exotic settings he ever used. Best of all, it features two of his most unforgettable characters, the ultra-vivid Cockneys Peachy Carnahan and Daniel Dravot, who impart to the story its ultimate, astonishing twist: it is both a tragedy and a triumph. Books are available for check out at the library. Refreshments served. In the second floor reading area.